Cold has finally bother Elsa! This year I made another Elsa's makeup, but not the ordinary makeup of Elsa, it's the Zombie Frostbite Elsa! 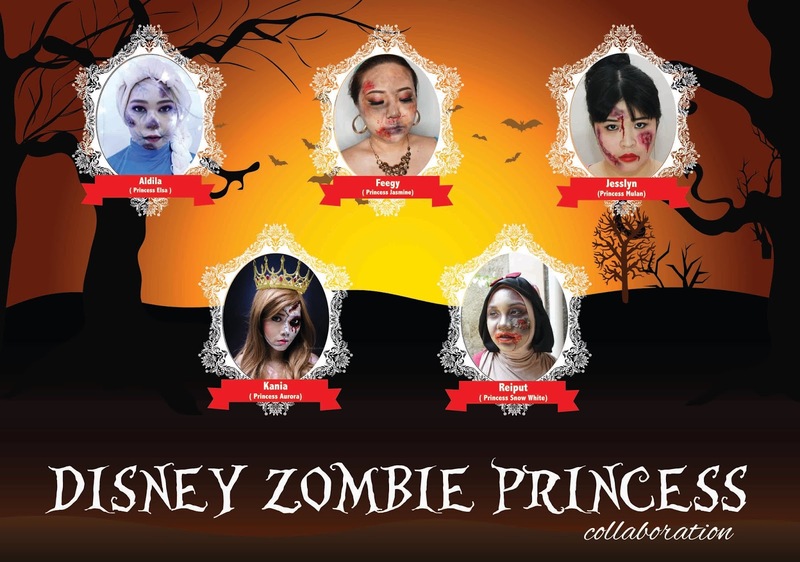 For this makeup, I've created a video tutorial on how to turn the normal Elsa into Zombie Frostbite Elsa. To know about how to create Elsa's ordinary makeup, you could check out my previous post. This is how my normal Elsa look like. Actually, I was inspired by Glam and Gore makeup of Frozen Frostbite Elsa. I thought her work was super amazing, you should check her Youtube Channel. Mine was way too far from her work if I have to compare. So what do you think about this makeup? Love both the elsa (before) and frostbite (after) looks! !